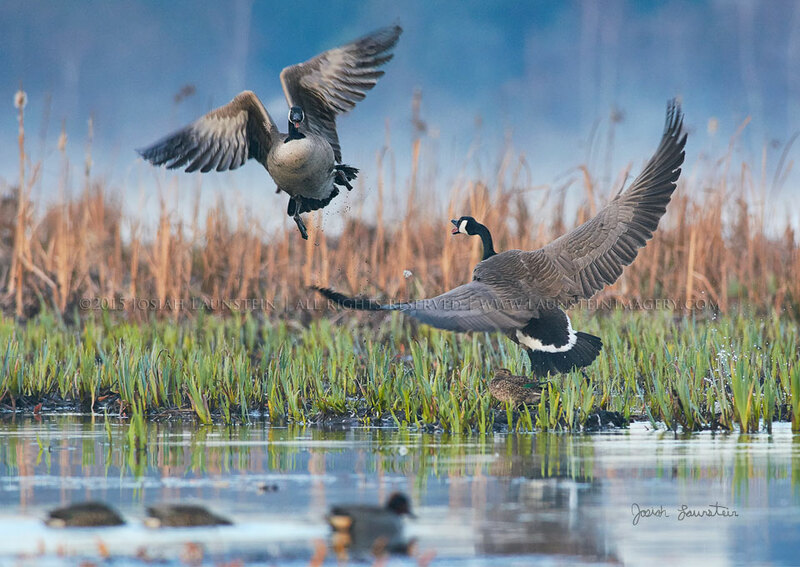 Josiah absolutely loves photographing waterfowl, and it sure paid off for him in February of 2015 when he spotted a very territorial Canada Goose. While his dad and sister were busy photographing Green-winged Teal ducks, young Josiah photographed this incredible action. One of his images from this series, Goose Attack, became his second image to be awarded in the Wildlife Photographer of the Year competition, and went on exhibit in top museums around the globe. Also available in our 6-pack and 12-pack of assorted popular greeting cards!